Andrew Lloyd Webber’s venue The Other Palace hosts the premiere of an inspiring new musical, commissioned by the National Youth Music Theatre. Presented as part of the theatre’s initiative to champion fresh works in progress, Imaginary is the funny and moving new musical that focuses on the struggles of holding on to imagination as you grow up. Throughout his childhood, the chaotic and open-hearted Milo has always been Sam’s only friend. The pair do everything together. But when Sam’s first day of secondary school looms overhead, Sam’s mum worries that Milo could be holding him back. When school turns out to be full of surprises and secrets, Sam and Milo’s friendship is put to the test, and a terrible revelation threatens to change their lives forever. Performing across the country, the National Youth Music Theatre is the award-winning theatre group for young people, putting on productions for over 40 years. Past productions have included 13 the Musical at the Apollo Theatre and Sweet Charity at the Leicester Curve, with their version of Sunday in the Park with George set to play at The Other Palace in August. 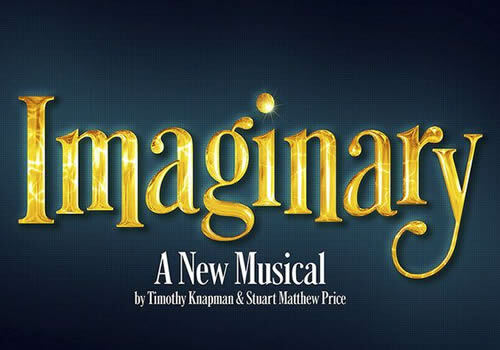 Imaginary features a book and lyrics by children’s writer Timothy Knapman, and music and lyrics by Stuart Matthew Price, whose musical Before After received a workshop premiere at the St James Theatre in 2014. Based on the trials and tribulations of growing up and losing the wonder and innocence of childhood, Imaginary plays at The Other Palace for a limited season from August 9th to August 12th 2017. Imaginary is recommended for those aged 7 and up.